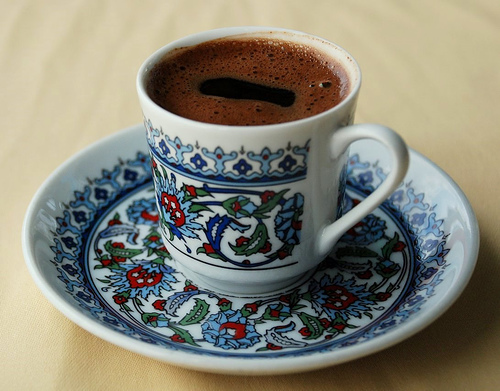 Over Turkish coffee served in a tiny, yet wonderfully ornate cup, my friend and I began talking about gratitude. She had had a rough day week month! Her fiancée was having a hard time finding work and times had gotten pretty rough at home. “It is hard to be grateful when so many things are going wrong,” she shared. Not knowing what to say exactly, I sat listening and sensed that her frustration seemed to be bordering on depression. Of course this 5 minute conversation didn’t erase any of my friend’s problems. Her fiancée was still out of a job. But what did change, if even for a moment, was her perspective. And that matters. That IS the power. Visit a loved one (or a stranger) who is struggling with a health issue – again, perspective! If someone slights you or hurts your feelings, instead of getting huffy, thank them, even if it’s just in your heart. Thank them for reminding you to return to your gratitude practice. These are just a few ways to begin a gratitude practice. Unlock its magic power today! Darla Brown is the founder of Share Yoga and a certified yoga teacher. Darla's love of yoga started over 20 years ago. She has taken teacher training and intensives with master teacher Max Strom as well as Jamie Elmer, Kyra Haglund, Luke Ketterhagen and Nancy Goodstein. Darla's practice focuses on breath and healing. This is actually what I do when negativity comes into my mind. I find immediately think of someone or something that makes me grateful for. And it really works, it makes you feel good and erases all negativity that you feel inside.